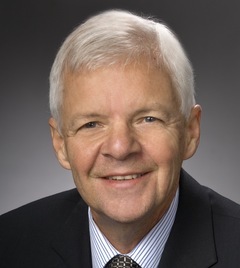 Among P.G. 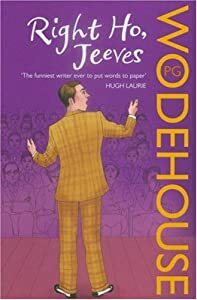 Wodehouse’s most popular novels is the 1934 work Right Ho, Jeeves!, featuring recurring luminaries, the young English gentleman Bertie Wooster and his ingenious and far-cleverer-than-his-boss valet Reginald Jeeves (whose first name is not given in this novel). One measure of this book’s popularity may be seen from the page of quotations devoted to Wodehouse on Wikiquote, where fully four to five screenfuls are from Right Ho, Jeeves! alone — more by orders of magnitude than is given any other Wodehouse work. Lovers of P.G. Wodehouse need not be told that he was one of the most prolific of writers, nor that he was one of the very best writers of English ever to try his hand at it, right up there with Oscar Wilde and — dare I suggest? — Dickens and Shakespeare. If not, then surely in the very next echelon. Wodehouse’s magnificent prose and dialog sparkles with non-stop hilarity of a type that were a reader to dare to consume it while sitting in an airport terminal he might find himself unable to constrain himself from laughing so long and loud that he soon embarrasses himself. Been there, done that myself. The beauty of the language lies often in its combining elements of erudition with outright silliness. To be savored above all are the extraordinary conversations between Bertie and Jeeves. It seems no author is able to construct more ways to say a simple Yes or No than Wodehouse. I have read the opinion P.G. Wodehouse never wrote a bad sentence in his life. While this may be hyperbole, I have yet to find one myself. Wodehouse is often complimented by reviewers for the masterful way in which he constructed and resolved the thorniest complications of plot. Because Wodehouse wrote comedic works exclusively, some of his stories reflect the insanity of opera buffa, presenting scenarios wherein the most implausible of circumstances develop, stretching the bounds of credibility. In the end everything always resolves both logically and happily for all parties involved. Bertie Wooster is far from a dimwit. Nor are his actions ever deliberately malevolent. Nonetheless, in the act of trying to be magnanimously helpful, he manages to bollix up pretty much any situation he puts his hand to, with the resolution invariably coming at the end from the hand of Jeeves. The essential plot of Right Ho, Jeeves! revolves around Bertie trying to help two young couples resolve their ping-pong marriage engagements long enough to stick, so that the right persons are ultimately matched and by story’s end presumably on the way to marriage. Bertie even accidentally gets himself engaged to one of the young women in the process. The masterly episode where Gussie Fink-Nottle presents the prizes at Market Snodsbury grammar school is frequently included in collections of great comic literature and has often been described as the single funniest piece of sustained writing in the language. Right Ho, Jeeves — just read it. You won’t regret the time expended. This entry was posted in Arts, Language, Literature, Re: Views and tagged Bertie Wooster, Gussie Fink-Nottle, Jeeves, p g wodehouse, Right Ho Jeeves. Bookmark the permalink.